raucous, gritty, wailing, upbeat and smokin’ hot “psychedelta” blues with a side of roots mixed in. Got Wood? 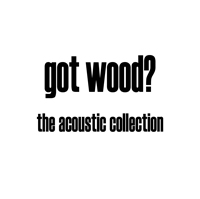 the acoustic collection: A remastered collection of 13 songs from our "Acoustic Catalog"... Banjo, Harmonica, Mandolin, Dulcimer, Accordion, Violin and "Sweet Wood" round out this selection of our most requested not Blues but Rootsy Fave's from our last 17 years of KKB. 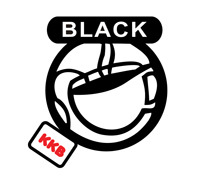 20 Selected Slide remastered tunes from the KKB catalog from over the past 16 years...If you don't have all of our CD's you're gonna love this one! All the Slide you can handle and more! 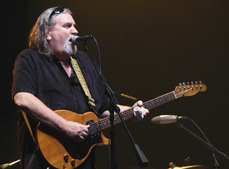 Kerry Kearney has been performing the blues for over 40 years and his band, the Kerry Kearney Band, has been a long-standing staple on the Long Island blues circuit. Combining his master slide guitar prowess with highly original songwriting, Kearney has long dazzled fans and renown musicians alike with his unique style and sound. He has performed with Sonny Landreth, Robert Randolph, B.B. 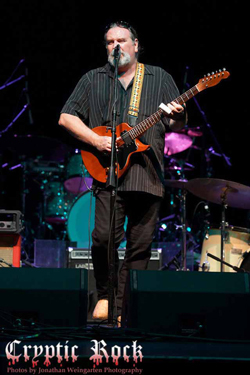 King, Robert Cray, Blind Boys of Alabama and The Blues Brothers, he has opened for Billy Gibbons, Kenny Wayne Shepherd and Leslie West’s Mountain featuring Warren Haynes, and he has toured with Marty Balin, The Allman Brothers Band and Dickey Betts. And that’s just the short list. An inductee of the New York Blues Hall of Fame, Kearney has earned the respect not only of fans around the world, but also of his musical peers. 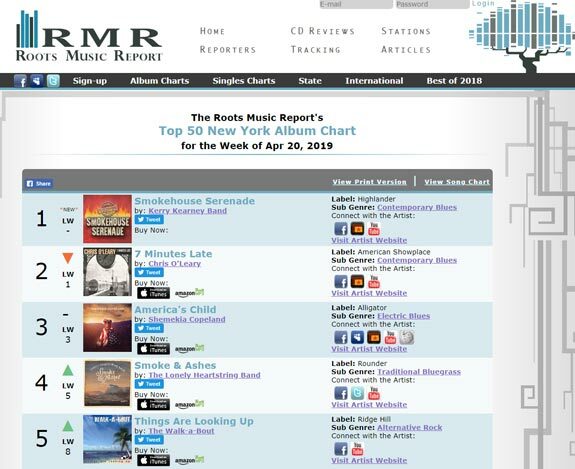 That’s quite an accomplishment and the latest record from the Kerry Kearney Band, Smokehouse Serenade, lives up to its name with a sizzling, infectious groove that is most impressive. It only took one listen to realize that Kearney is one of the greatest slide guitarists out there – no kidding. He “gets” the economy of notes and never overplays. He also has a unique blues vocal that complements his style perfectly. Kearney is backed by drummer Mario Staiano, bassist Gerry Sorrentino, keyboardist David Bennett Cohen and harpist Charlie Wolfe. Several guest musicians are also on the record. Other than a few covers, the remaining tracks were written by Kearney for this twelve-song offering. Opening strong with a Texas blues number, “Shakin’ Like Jelly,” Kearney immediately proves why he is one of the best slide players out there. Followed up with the rootsy “Long Tall Mama,” Kearney once again offers killer, subtle slide while showing his versatility. I confess that I bristled at first listen of the Blind Willie McTell cover, “Statesboro Blues,” but I gave it a few more chances and it actually grew on me. In fact, I rather appreciate Kearney’s refreshing reinterpretation of a song that The Allmans Brothers Band basically “owns.” Kearney gives it a fun NOLA flair and surprisingly succeeds. Staying with the New Orleans vibe, “Goin’ To The Mardi Gras” is another bouncy track featuring Bob Paolucci on killer harp and Victor Poretz on trombone (also on “Statesboro Blues”). “Fireplug” and “Wake Me, Shake Me, Bake Me” have a definite Allman Brothers Band feel to them and are real highlights, the latter with a great keys solo and an outstanding percussion jam. “No Way Back Blues” features full-on delta blues at its finest, while “Sittin’ On Top Of The World,” a Walter Jacobs Vinson cover, simply shines and makes you feel like you’re in a Wild West saloon. 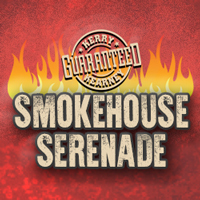 With a short snippet of “Camptown Races” (Stephen Foster) as prelude to the title track, “Smokehouse Serenade,” Kearney is at his seasoned best with highly skilled fretwork and nothing over the top. Followed by the biggest earworm on the record, “Girl From Memphis,” Kearney and company then switch gears with “Creole Woman,” a raucous, down and dirty burner with extended jams. Rounding it out the way it all started with another Texas blues-style song, “Pretty Baby” closes out a truly great record. If you are a blues fan and appreciate amazing slide work on a record that flows seamlessly and never falters, then you will truly enjoy this one. It came as no surprise that there was a very large turn out during his opening set. Fans sung along to Kearney’s original songs and everyone would scream and cheer after Kearney’s stunning guitar solos. Kearney and his band were the perfect compliment to the Big Bad Blues theme of the evening. The Blues is a key element in the chemistry which makes up Rock N Roll. On Saturday October 19th Blues legend B.B. King performed at The Paramount in Huntington, NY. A sold out crowd came together to take in the history before their very eyes. Starting the evening off was slide guitar master Kerry Kearney. A native to Long Island, Kearney has made a name for himself over the years. He has received such honors as “Best Guitarist of 1999″by the LI Voice and “Bluesman of the Year 2004” by the LI Blues Society. He also has been given the Long Island Sound Award from the LI Music Hall of Fame, and in 2013 was inducted into the New York Blues Hall of Fame. 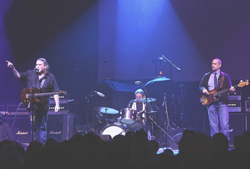 Kerry Kearney and his band of talented musicians rocked fans with their upbeat blues rock sound. Kearney played guitar with grace proving he is possibly one of the best slide blues guitarist around. With all the talent Kearney possesses he also has a knack for providing an excellent stage show which all in attendance appreciated. There is going to come a point where the rest of the blues rock world is going to catch on to Kerry Kearney and he will tour the world. Kerry Kearney was inducted into the NY Blues Hall of Fame on Saturday, February 16, 2013. Kerry Kearney comes from New York state and has been around for 15 years, making a number of CDs in his own name and performing both solo and in a band. He is primarily known as a slide player and included in his CV is a five year stint in former Jefferson Airplane vocalist Marty Balin’s band. His mix of slide-driven roots and rock bears the name ‘Psychedelta’ and this latest CD is the fourth to work the term into the title! Joining Kerry who handles all lead vocals and guitars are Frank Celenza (bass), Mario Staiano (drums), Ken Korb (harp, penny whistle), David Bennett Cohen (keys), Nydia Liberty Mata (percussion) and Elizabeth Seton (backing vocals). A different set of musicians play on the final track, a cover of Dylan’s “Girl From The North Country”. The CD opens brightly with the only original tune “Mississippi River Stomp”, a real slide-driven rave-up which reminded me of Sonny Landreth. Arthur Crudup’s “Mean Old Frisco” is an acoustic number and is effectively handled. Robert Johnson’s “Stop Breaking Down” is a personal favourite of mine and this version is great, Kerry’s slide ringing out in a very catchy and upbeat treatment with an excellent piano solo. “Louise, Louise Blues” by Big Bill Broonzy is done acoustically with Kerry’s dobro supported by gentle bass and drums. The Beatles would seem to fit uneasily with the rest of the album but Kerry’s choice of “One After 909” actually works well in this interpretation. The piano is again a key component in an uptempo version. A second RJ tune is attempted in a very short (1.34) “Last Fair Deal Gone Down” in a similar trio version as we heard on the Broonzy tune before the band covers Elmore James’ “Baby Set A Date” in an unusual version with less slide than one might have imagined, but with additional percussion, harp and keyboards. The final track is the Dylan cover which is delightful, all delicate dobro, banjo, penny whistle and vocal harmonies. There are many great versions of “Girl From The North Country” but this one stands comparison with the best of them. My only real criticism is that it is far too short! At just 23 minutes it is more like the old EP than an LP. However, I enjoyed this CD a lot. Reviewer John Mitchell is a blues enthusiast based in the UK. He also travels to the States most years to see live blues music. Way-groovy – psychedelta, indeed!!!!! Slide guitar, playing the blues, with mind-expanding funk – nothing not to love here. Especially gotta love it when Kerry Kearney is doing this psychedelic update to tunes from the likes of Robert Johnson, Big Bill Broonzy, Lennon and McCartney, Elmore James, Arthur Crudup, and Bob Dylan – doing it well, and doing it with respect.Kerry Kearney (writer, vocals and guitars) isn’t performing all this yummy-scary stuff on his own. His accomplices on “Ghosts” are: Frank Celenza (bass); Mario Staiano (drums); Ken the Rocket Korb (harmonica, penny whistle); David Bennett Cohen (keyboard); Nydia Liberty Mata (percussion); and Elizabeth Seton (vocals).The only original tune on the album turned out to be Lady K’s favorite. “Mississippi River Stomp” is a whole lotta slide guitar (screaming, mind-expanding drug-laden guitar). It’s a totally rockin’ up-tempo number with some funky, honky-tonk keyboard back-up. This is way fun!!! !OMG, Kearney’s rocking-sliding versions of Robert Johnson’s “Stop Breaking Down” and “Last Fair Deal Gone Down” are amazing. Lady K keeps thinking about pictures of Robert Johnson and that wondrous smile of his; bet he’s smiling that smile in guitar heaven, listening to Kearney’s psyched-up versions of his tunes, accompanied by more great keyboard work.“Louise, Louise Blues” (Broonzy) is a luscious blend of harp, keyboard and guitar; it’s old-timey, bluesy, and a tad country-sounding (but no twang, which made Lady K happy). “One After 909” (Lennon, McCartney) is a rocking delight of squealing, screaming guitars with plenty of keyboard. Definitely not a lot of Beatles’ sound to be found here (and Lady K loves the Beatles too). I sorta picture Lennon, reaching out and tapping Sir Paul on the shoulder, telling him to check out this Kearney chap . . .Lady K’s favorite cover is Elmore James’ “Baby Set a Date.” Guitar-a-plenty - non-sliding, electric guitar opens this tune. In addition to his differing guitar-style talents, Kerry Kearney also seems to have many singing voices; there’s a totally different sound, switching from Robert Johnson’s to Elmore James’ tunes.There are additional musicians on Dylan’s “Girl from the North Country,” including Maria Fairchild (clawhammer banjo, vocals), Dana Tillinghas (vocals), Sly Geralds (bass), and Chris Cangeleri (shaker). The tune starts off softly, progressing into a killer number. All of the tracks on the GhostsCD have a new sound because they are psyched-up, including “Mean Old Frisco” (Crudup). It’s a bit more roots blues, a bit less ‘psyche’ than the others (but not much less – still mind-bending). Ghosts of the Psychedelta is an album that’ll put a smile on your face and some Delta-psyche in your soul. "Kerry Kearney - Ghosts of the Psychedelta"
You may not have heard of Kerry Kearney, but that's one of the reasons I have a blog. Here's a tip--you need to get this cd, and you need to discover this artist. Why? 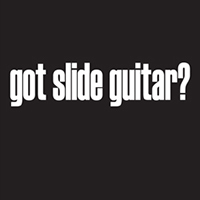 Well, because Kerry Kearney is one of the very best slide guitar players out there. If you love the slide guitar work of Sonny Landreth, Johnny Winter or Duane Allman, that's fine--each of them is very good--but Kerry is as good as any of them. He plays with a musical, sweet tone with a nice swinging style. This guy should be a huge star, but he is only well-known in the New York area. Kerry lives in Far Rockaway on Long Island, and, other than a 5 year span playing with Marty Balin from 1988-1993, he has been there forever. Kerry has released a dozen cds beginning in 1996, but he has largely escaped notice outside the NY area. On this cd Kerry presents one original song and songs by Arthur Crudup, two by Robert Johnson, Big Bill Broonzy, Lennon/MacCartney, Elmore James and Bob Dylan. He is backed by Frank Celenza on bass, Mario Staiano on drums, David Bennett Cohen on keyboards, Ken Korb on harp, and Nydia Liberty Mata on percussion. Things kick off with "Mississippi River Stomp" which is a high energy number and sounds similar to Sonny Landreth's work in the 80s. The second number is the standard "Mean Old Frisco" and here Kerry and the band cut Eric Clapton's version in every way. 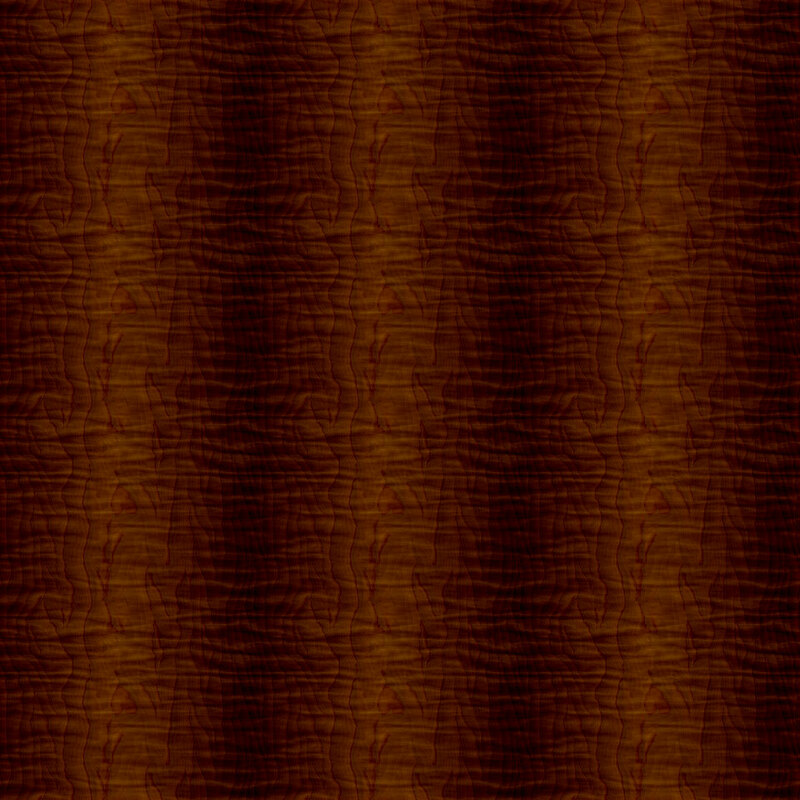 A knockout acoustic slide treatment! Next up is "Stop Breakin' Down" and here Kerry and the band just smoke the Rolling Stones' version. Kerry's guitar work is really strong here, with a sweet turn on piano by David Bennett Cohen, good vocals and harp too! Elmore James' "Louise Blues" keeps everything cooking along at a good steady boil--here Kerry really really leads it out over a fat back beat. Next up is The Beatles tune "One After 909." The is a full band tour-de-force with Kerry's guitar and singing and David Bennett Cohen's piano weaving a wonderful tapestry of song. I really enjoy the energy on this one. Next up is "The Last Fair Deal Going Down," another Robert Johnson song, and it's a strong effort with really nice guitar, but I'm getting tired of hearing every band covering this one, but KK & the band still do it way better than ok. Next up is "Baby Set A Date," and this one has a nice showcase harp solo by Ken Korb, strong work by the rhythm section, and a hot electric slide solo by Kerry. My favorite song here is "Girl From The North Country." Kerry takes things in an acoustic direction, and is accompanied by Maria Fairchild on banjo & vocals, Dana Tillinghast on harmony vocals, Sly Geralds on bass, and Chris Cangeleri on shaker. One of the best Dylan covers I have ever heard--I especially love the penny whistle. "Ghosts of the Psychedelta" will be available September 1st.You can buy this cd at http://kerrykearneyofficial.com There are also several songs on you tube that you can check out. I hope people will get excited about this guy and his music--he's really good. All content © copyright Kerry Kearney 2019. All Rights Reserved.